Days off are my favourite part about living in Wiarton - I can spend the day going on adventures, and relish every ounce of the environment. There are so many treasures to find and so many lovely places to visit! 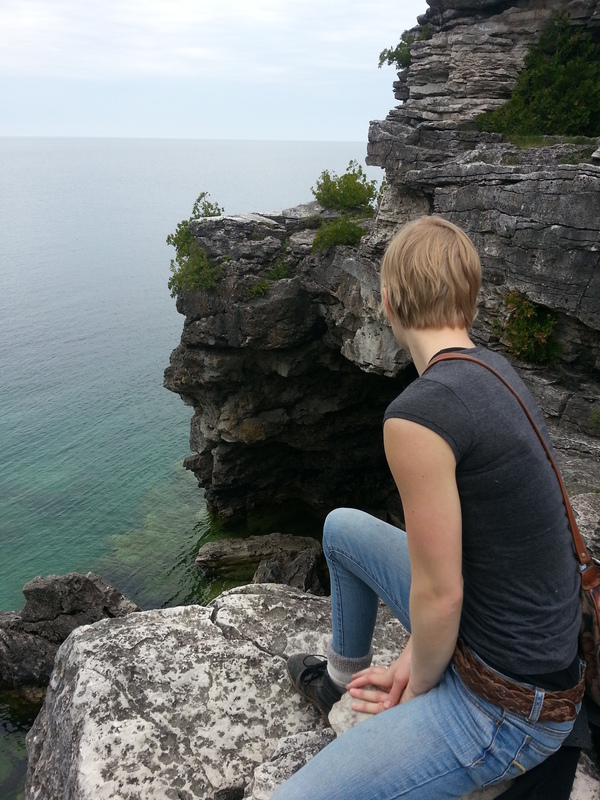 Last weekend my friend Alicia came up to visit me and we went on a Bruce Peninsula road trip. We hit up Eugenia, Wiarton, Tobermory and Lion's Head in under 24 hours - sharing a meal in each one and taking time to marvel at the scenery. 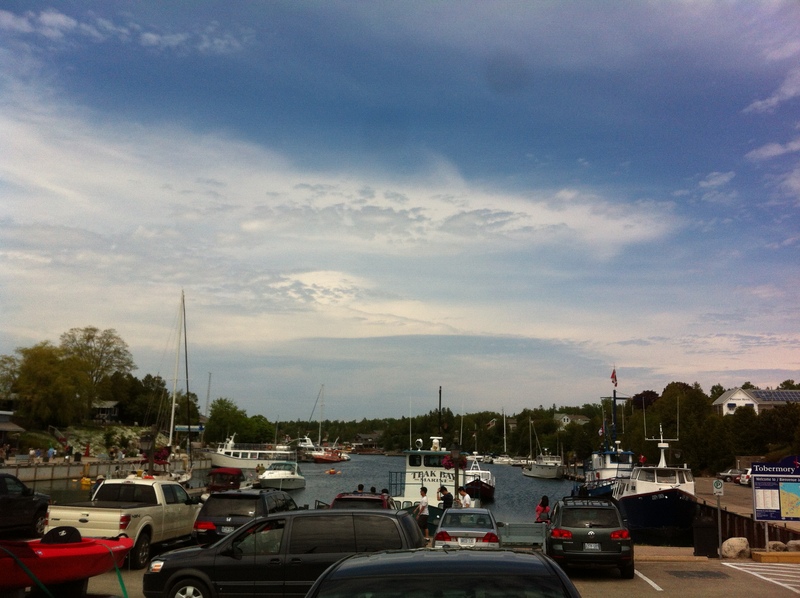 Tobermory lies at the tip of the peninsula that separates Lake Huron from Georgian Bay. 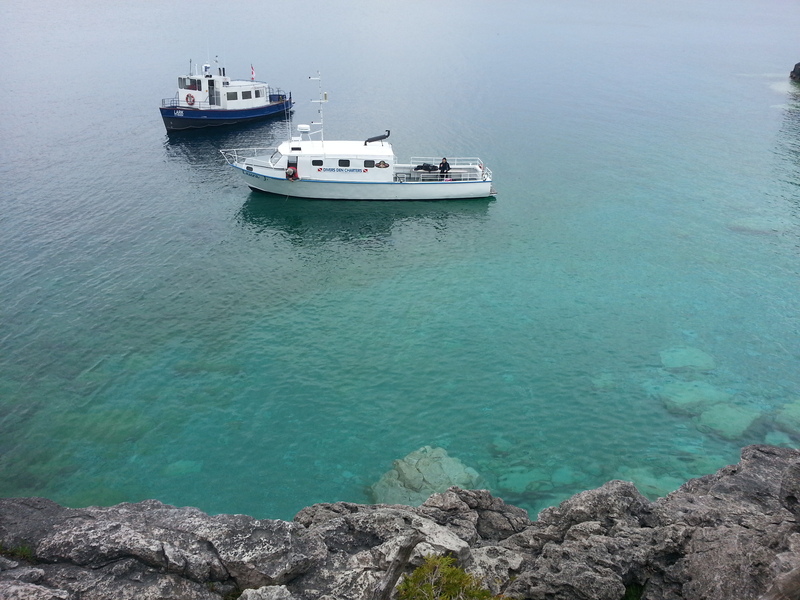 Off the coast of Tobermory are dozens of shipwrecks that you can see if you take a glass-bottom boat tour, and many islands to visit, including Manitoulin. This little town is a huge tourist attraction in the summer, due to its fantastic hiking spots, gorgeous views and excellent waters for boating. In the winter, however, the population drops down to a few hundred. We spent the better part of the day poking around the gift shops and art galleries, took a walk to see the Chi Cheemaun ferry, and then drove out to the point to get a good view of the islands. I was particularly fond of the Marine Chart Shop, where there were stacks of maps to look through and lots of interesting marine books to peruse. I have been looking for marine charts for quite some time now, so was pleased to have found the hot spot for these lovely treasures. I will have to get back there and pick up a few before my time in Wiarton is done. I would love to plaster those large nautical charts on my future studio's walls. On our way to Lion's Head we went to the Bruce Peninsula National Park (Cypress Lake) and hiked out to the Grotto. The Grotto is a well known cave at the edge of the bay. You can carefully climb down the cliffside to the dank cavern and go for a swim in its pool. Deep in the grotto is a tunnel that exits into the bay on the other side of the cliff wall. Theoretically, you can dive down into the pool, through the tunnel and out the other side. Not many people venture down, but there were some scuba divers making the trek during our visit. Apparently you can complete the dive and tunnel swim without an oxygen tank, but it's risky business. I am much too claustrophobic to enjoy such a daredevil act. 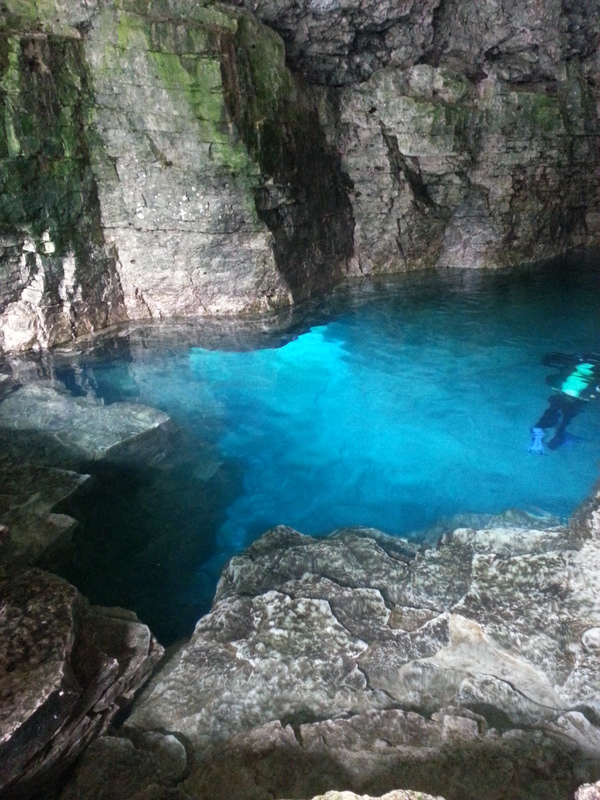 However, the colour of the water alone makes the Grotto a must see.